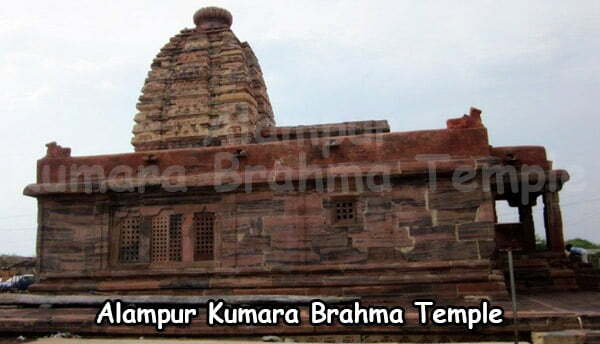 Alampur Bala Brahma Temple Timings: 8.00 AM to 1.00 PM and 3.00 PM to 8.00 PM. 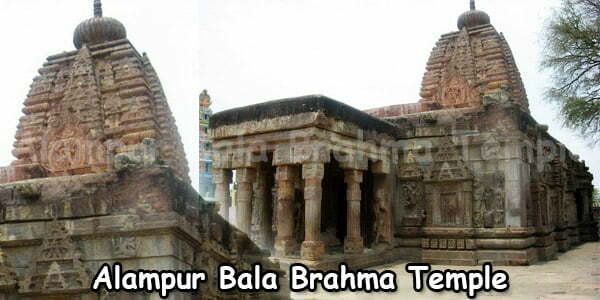 Bala Brahma temple is dedicated to lord Shiva. 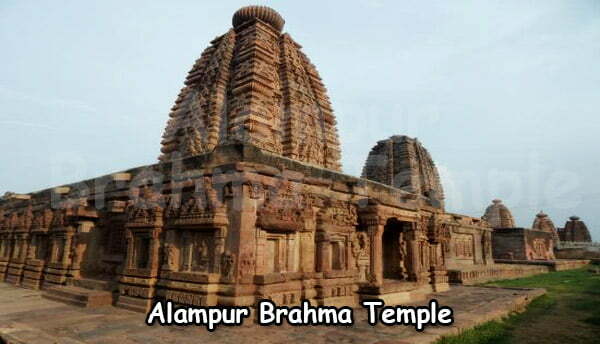 Alampur is named as town of temples and famed for its sculptures. This temple is 1 km far from alampur bus station. 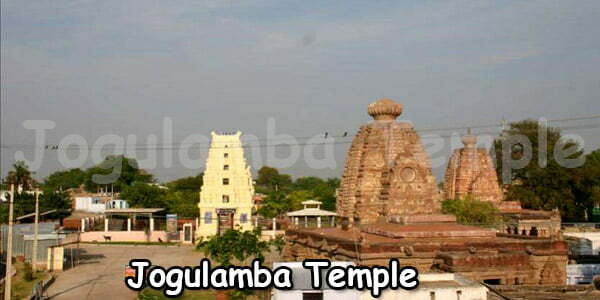 This temple is located near jogulamba temple. It is the largest and most prominent temple of nava bhrama group of temples. This temple has good architecture. Chalukyas pulakesi-II built these temples in 7th century. This temple is constructed in nagar style and there is a large pillared varandha on all sides for outer pradakshinas. The temples have large mukha mandapa, maha mandapa and sanctum with cross path for inner pradhakshinas. The scantum shivalinga is seen in the shape of bulls foot print. There are dwarapalakas in the doorway of inner sanctum and lion images, goddess lakshmi, ardhanareswara , vinayaka, kalabirava etc. The inner mandapa has craved figures of mahishashura mardini, saptamatrukas, indra and ugni along with the large dancing shiva on the ceiling. The pillar has yogamurthi image worshipping lord shiva. The mahamandapa has a large bull statue. 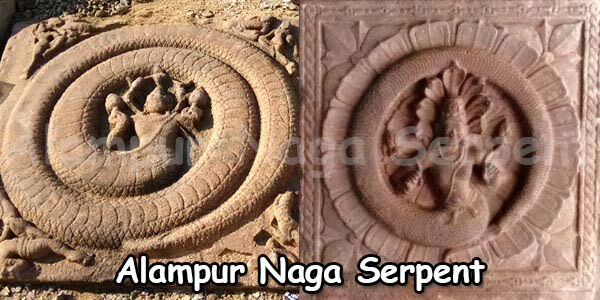 The inner cross path has figures of kanyakumari, Hanuman, ganesh, umamaheswara etc. The outer varandah has large figures of yama with chitragupta, kubera and surya. Several sculptures were placed from the temples in the museum. This is the temples which has regular pujas. 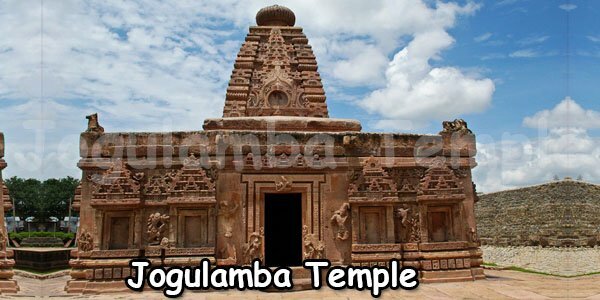 There is a sanctum where goddess jogulamba statue was placed for six centuries before the new temple was built in 2005. The navagrahas are installed on the southern side of the sanctum. There is a large nandi statue on the corners of the roof. There are several other sanctums around this temple housing samiswara, sahasra lingeswara, jambukeswara, nataraja, mahishasura mardini, moksheswara etc. There is a pillar on the northern side of the temple with old signature temple, Also there is a large stone slap with the signature from 7th century.